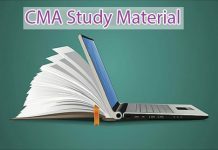 Exam “verification / Revaluation” of “ICWAI / CMA” inter & Final: In the previous posts we gave ICWAI intermediate previous question papers, ICWAI final question papers of previous exams and study materials for CMA inter & CMA final. 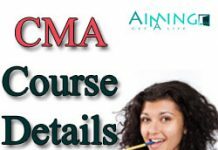 Today we are providing the details of CMA exam verification procedure, Verification results details. 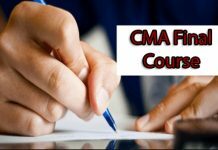 For the verification of the answer scripts a candidate can apply within 30 days from the date of announcement of the CMA results. Candidate has to pay fee of rupees 250/- in the form of demand draft in the favor of “The Institute of Cost Accountants of India” payable at Kolkata. In case of verification for the totaling mistake and omission to examine any answer send an application along with a DD in the envelop super scribbling “Application for Verification of Answer Scripts” to avoid any unnecessary delay. Verification should not be merged with any other fees. Students who want to apply for both the verification and or answer scripts photocopies are suggested to send a separate DD for each (one for verification and another for answer script photo copy). Keep checking to the icmai website for the verification results. The verification results will be given as regular results after the completion of the verification. Students are suggested to collect the following details before filling the application form for the verification. Mention syllabus in the top of the verification form. Like Syllabus 2008 or Syllabus 2012. Term of the examination, registration number &roll number. Subject code and subject name. Individual marks obtained in each subject applying for verification and total marks in the appropriate place of the form.